Many of the GEE Nepal girls have parents who are, or have been, in jail. This is because GEE operates as a special project under Prisoners Assistance Nepal - panepal.org. Prisoners in Nepal are among the most vulnerable people – they are stigmatized by neighbours, villagers and family members, and their families face enormous financial and emotional hardship. This fits perfectly with GEE’s vision of wanting to help vulnerable and disadvantaged girls in Nepal. To qualify for our sponsorship programme a child needs to fulfill three conditions: to be a female, to be from verified underprivileged background, & currently not attending school. We currently support girls in 3 different regions across Nepal. 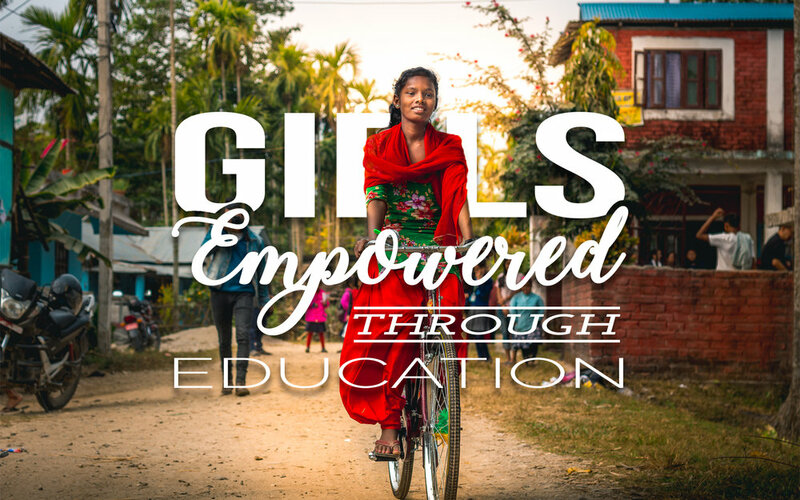 Below are some stories of some of our GEE girls which provide examples of how giving girls in Nepal the opportunity to receive an education can drastically change their lives for the better. "I wouldn't be able to study and work towards my dream to study languages if it weren't for the sponsorship I receive from GEE. After the 2015 Earthquake in Kathmandu my home was damaged and my family had to start over with little to nothing. GEE also provided blankets, food and temporary shelter in the time that our home was being fixed. Thanks to your support I am now applying for a visa to continue studying languages in Australia or Cyprus and I can look forward to what my future holds." "After Passing higher secondary level, I did not get enrolled for Bachelor Level study. I recently received a visa to travel to Japan to study higher-level education, work and learn the Japanese language. From a young age, it has been my dream to travel to Japan and learn about Japanese culture and the language. I moved to Japan a couple of months ago and I am loving it! Without the support of GEE and access to education, I wouldn’t be where I am today. I am also thankful for the support that I have received from GEE for my family in times of crisis they have stepped in." "Thanks to GEE Nepal I am able to study towards achieving my dream of working in the medical field as nurse. I am now in my final year of my Nursing course and am so thankful I can be where I am today, helping other people in my community through my profession because of your support. From the bottom of my heart, Thank you."